HONOLULU (AP) - A federal labor report has found that Hawaii leads the nation in union membership. The Honolulu Star-Advertiser reported Thursday that a U.S. Bureau of Labor Statistics report issued Wednesday named Hawaii as the state with the highest national union membership in 2018 with 139,000 workers. The report says 23.1 percent of wage and salary workers across the islands are union members and that the state’s union representation increased from 21.3 percent in 2017. The labor report says that during the same period the remainder of the country saw 10.5 percent of wage and salary workers represented by unions, down 0.2 percent from 2017. 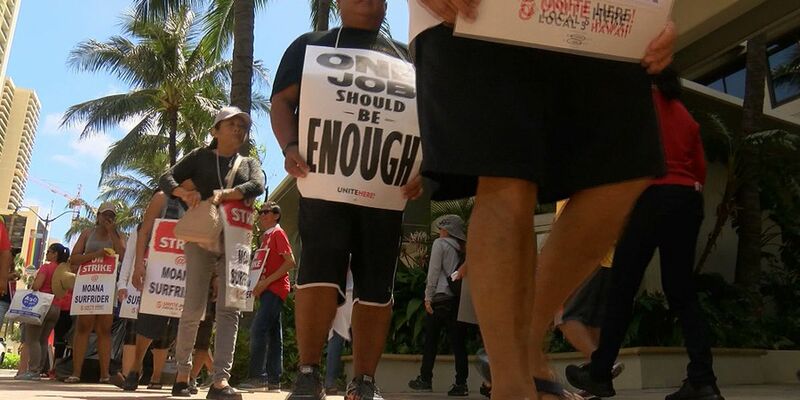 A labor statistics bureau official says Hawaii saw its union membership peak in 1989 at 29.9 percent, while the lowest point came in 2016 at 19.9 percent.